The strong demand mirrored that of Promenade‘s initial two buildings, comprising 124 apartments, which sold out over one weekend in May. More than 70 per cent of the buyers were owner-occupiers. Prices ranged from $440,000 for a one-bedroom apartment to $995,000 for a three-bedroom apartment. 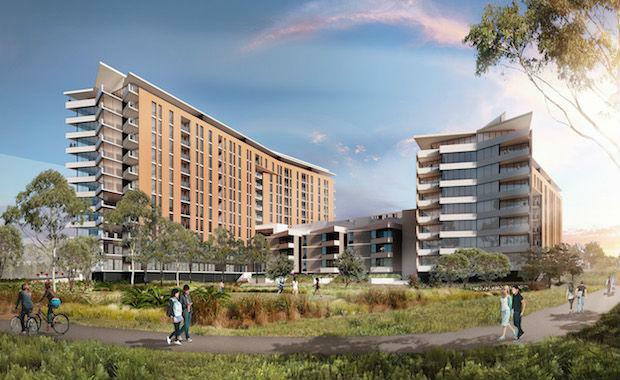 Parramatta accommodates 30 per cent of Australia’s top 500 businesses, triggering $8 billion worth of commercial and residential development in coming years. “Promenade is in keeping with the style of residential communities we create in China, and we want it to set a benchmark to establish our credentials in Sydney as a quality developer,” Mr Hao Liu, the Director of Starryland Australia. Designed by architect William Smart of Smart Design Studio, with 1.2 hectares of landscaped frontage, Promenade is set to create a new face for the riverfront. “It will bring more residents into our thriving CBD and further modernise our riverfront,” said Parramatta Lord Mayor Cr John Chedid. The initial two buildings of Promenade are currently under construction.